Here’s a recent interview I did on the Tamil IBC TV channel. 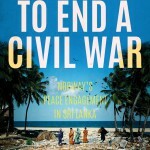 The subject was – unsurprisingly – my new book on the Norwegian peace effort in Sri Lanka. Equally unsurprisingly, they’ve seized on the most controversial topic covered for a title . . . . .